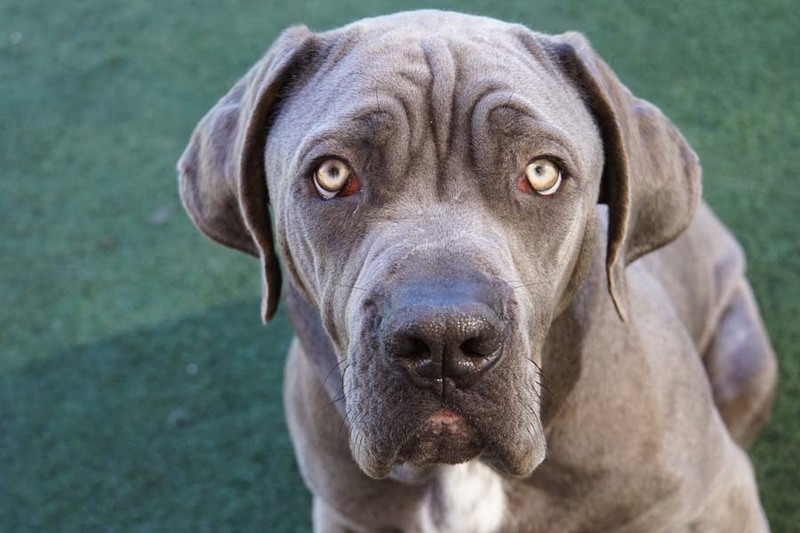 San Diego Humane Society is here to support you when the time has come to say goodbye to a cherished pet, during a time that can be emotional and overwhelming. We provide a variety of compassionate services to help you through this difficult time. The loss of a pet is never easy, and having a support system can help you through the healing process. Our Pet Loss Support Group provides an environment where thoughts and emotions can be shared and feelings of grief are understood and validated. It's open to everyone 10 and up, and is appropriate for those who have recently lost a pet, are still mourning an old loss, are anticipating the death of a pet or are preparing for euthanasia. Learn more here. 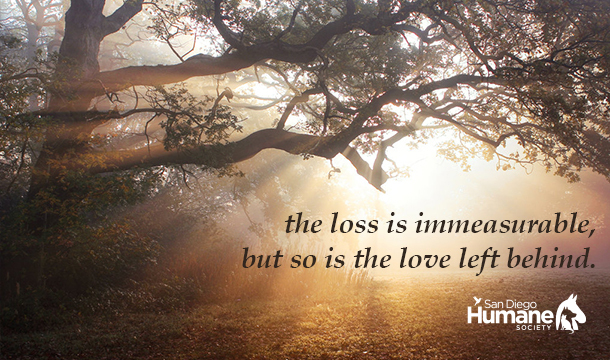 For more information about our pet loss support services, call 619-299-7012, ext. 2311. San Diego Humane Society provides post-surrender euthanasia services for pet owners at a reduced cost of $40. This service does not include the option of being present during the euthanasia. We do not euthanize healthy pets. If you have any questions about the program as it relates to San Diego Humane Society, please call 619-299-7012 during regular business hours. Communal cremation is available for an additional fee. Services offered 7 days a week. Our Pet Loss Support Group provides an environment where thoughts and emotions can be shared and feelings of grief are understood and validated. Our Pet Loss Support Group may help. Losing your companion animal can be an extremely difficult and painful experience, and we offer a caring, compassionate understanding of your loss.